OPI Russian Navy and CrowsToes Absolum were both purchased by me. All opinions are my own honest thoughts. 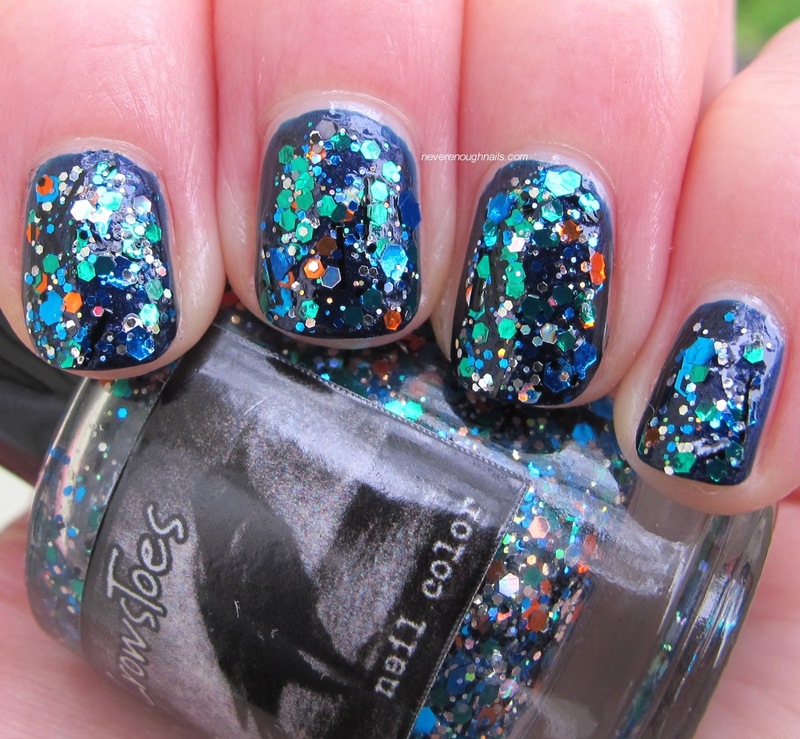 Today's post is yet another polish that I do not understand why I left sitting in my untrieds drawer for a few months. CrowsToes Absolum- Your Potions Master is an outstanding mix of jewel tone glitters, including emerald green hexes, blue hexes, silver glitters in a couple of shapes and sizes, and some orange glitters as well. Now honestly, I really purchased this polish because it was named for Alan Rickman, the man who plays Severus Snape in the Harry Potter films. I love me some Snape, so I knew I needed this polish. However, it is absolutely stunning as well! The glitters seem to be extra sparkly in this polish! For this look, I dabbed two coats of Absolum over two coats of OPI Russian Navy. Application using the dabbing method was pretty easy. A LOT of glitter comes out on the brush, so you don't need to "try" to get this glitter out! The formula did feel a bit thick, due to all of the glitter, but I didn't find it to be a problem. Don't forget to enter my giveaway for a $25 Sephora gift card or $25 in your Paypal account!!! 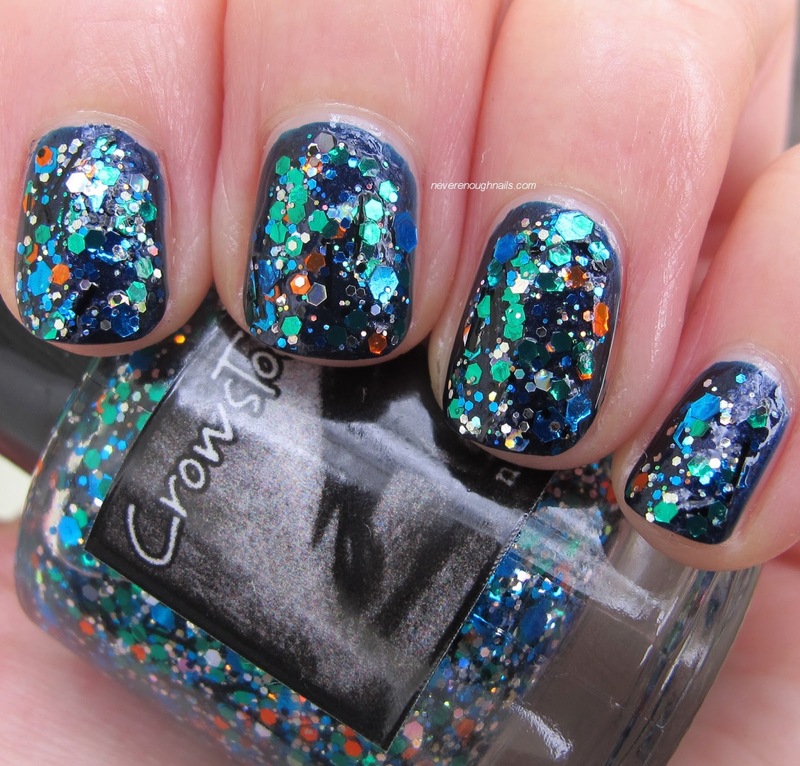 You could buy this polish and others!! 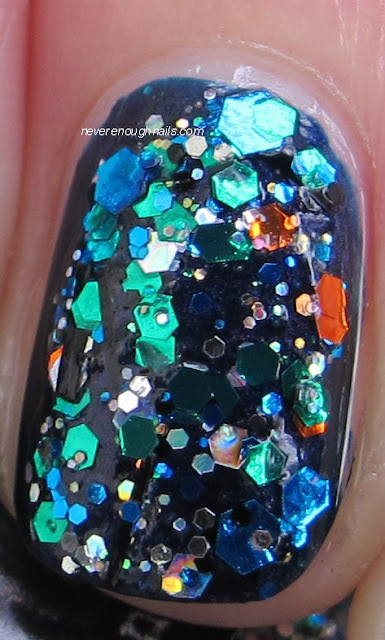 The jewel-toned glitter is fantastic and I love the dark blue you paired it with. Thanks Paint Those Piggies! I got so many compliments on this mani!